#BeBrave2016: Post Grad Plans + I'm Moving! 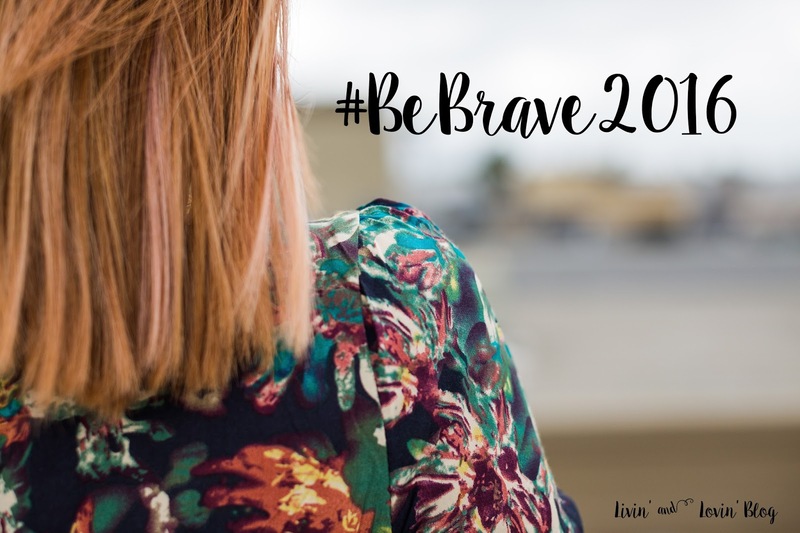 I think that with my first post of 2016 talking about my goals and being brave, I think that it's about time that I update you all with my life lately. As you know, I graduated with my Bachelor's Degree last month. I had a really rough last few weeks of school but I made it out alive (barely haha)! Of course, the first thing everyone wants to know after someone finishes college is: what now? If you asked me this question a year ago, I would have said that I was going to get a job and work/save up to be able to travel and start saving up for my future. I was also thinking about working to make it so I could work for myself by the time I graduated. If you asked me this question 6 months ago, I would have said "I don't know." I was thinking about probably going to get a job and work until Darell moves back from Australia then seeing what happens from there // or just moving to somewhere like Seattle, Washington and doing social media marketing there // or try to make it so that I can work for myself by the time I graduate. Not too long after Darell moved to Australia last July, he kept telling me to think about moving out there because he knew it would be something that I would love and enjoy. I kept telling him that, that was great but I couldn't because there would be too many unknowns and issues going on with that. I also told him that I wasn't sure that being in Australia while he was there was something God wanted for us, that maybe this journey is meant for him to experience by himself and that my time here in America without him was meant for me to also grow by myself as well. I never wanted to move out there because of him. I originally intended to visit Australia around this time (right after Christmas - post-new year) as a post-grad treat to myself and so that I could ring in the new year with the one I love, of course. But when work told me that wouldn't be possible because of the busy holiday season, I altered my plans to visit first in October for our birthdays, then again in March to split the time between us seeing each other (he intended on staying for only a year). Before I visited Aus in October, it didn't seem like anything was coming together for me, and it seemed like it was very possible that my trip wouldn't happen. I prayed and sought God to give me peace that everything would work out. And a week before my trip, it did. I bought my ticket, was able to extend my trip, and I got a really awesome layover in Hawaii! All that cool stuff aside, I was also preparing my heart for what was waiting for me in Australia because people were speaking into my life about the trip and how it would change my life forever. I knew the trip was going to be great but I didn't think about the implications it could have on my life in the long run. I asked God everyday before my trip (and even on the plane) to prepare my heart for what was to happen next. I wanted to be open to anything that may come by on this trip. (My prayer since August was to keep an open mind & heart to anything God may want for me post-grad). Once I got there, I fell in love. I had visited Australia once as a kid, but being there again as an adult and without my dad & sister was surreal. I loved the atmosphere and within a day or two of being there I felt like I was home. It felt so natural for me to be there. And it wasn't just how the country made me "feel," it was also the people I encountered while there. I was talking to a girl living at the house I was staying at named Holly about post-grad plans and where Darell & I would be. I was so worried and scared about him staying in Australia for another year (because he really wanted to) because I didn't want to do long-distance for more than a year. I talked about my worries with the both of us financially and about how I've always dreamed of going to Australia for Hillsong College (the school Darell goes to) even before I met him, but my biggest worry with that would be looking like the girl just following her boyfriend around. But one thing that she said really stuck with me for the rest of the trip: If it is God's will for Darell to stay another year, then I have no place in changing that. If God allows it, He will provide a way through it. And I realized that was the same case for me as well. Throughout that weekend specifically I met so many great people from all around the world and talked to a girl who also attended the school with her boyfriend as she greeted us for church. Not too long after the service was over I met one of Darell's friends, Mindy, and I realized that she got her BA and worked before attending college--something I hadn't considered before (I always thought I go to college right out of university or not at all). Talking to her really encouraged me in that. All these people were speaking into my life and encouraging me but I was fighting God because I didn't want to be "that girl." I WAS FIGHTING GOD'S WILL BECAUSE OF WHAT PEOPLE WOULD THINK OF ME. WHAT? By the time it was my last day, it felt like I was leaving home more than anything. I was sad because I had met and spent time with so many amazing people and got to explore such a beautiful place that now it was time for me to come back to reality. By the time I landed back in America, I knew that Australia was where I needed to be. But anyway, I won't get into all of it here if you look at my life over the last 5 or so years, things worked out perfectly to get me to where I am today, Australia included. It's not an accident that I have family already living there. It's not an accident that things made it so I didn't go to Hillsong right out of high school (because I was seriously considering it). It's not an accident that Darell & I got to attend Hillsong's only conference in LA & also knew someone who had graduated from Hillsong College. It's also not an accident of the timing of Darell being in Australia during my last semester of my undergrad. Everything worked out perfectly. God's timing is perfect. What I've been learning through these last few months is that every little thing truly is perfectly timed by God. If you go to church or grew up in the church, you are told this over & over again but these last few months I really saw the fruits of God's timing in action, playing right before my very eyes. People may not understand why I am doing what I am doing. I should get a full-time job, I should become stable first, and all these other things, but for what? I have never lived outside of Southern California. & no matter where I move to I will always end up back here because it's my home. I am not tied down to a full time job. Sure, I can get one & make enough money to go, but I either take two weeks off instead of a year or two OR I quit and risk losing a really great job/being at a full-time job for a certain amount of time may also count against me on my resume in the future. I have no children yet. I definitely want children in the future but everyone knows that once kids come into the picture, plans for things such as travel get delayed. I have no reason to stay in the sense that nothing is holding me back. & what I've had to learn for myself is staying confident in my decisions despite what other people say. And as a people pleaser, that has been very difficult for me. So maybe I won't have a full time job for a while or I may be working jobs not in my field for a bit because of my visa. It's not permanent. & besides, as far as money goes, God has always provided for me & I don't think he is going to stop as long as I trust & rely on him. Call me crazy, but that's faith for ya. So this is where I am currently at in life. I am getting ready to move to another country away from most of my family & everything I know & grew up with. I made the decision very quickly, but I know deep down in my heart that I need to be there. It's scary but so exciting, and I know that God will be walking with me every step of the way. As the president of my university (now alma mater, what?!) once said, "God doesn't move quickly, he moves all of a sudden."